Hemingway's Bar & Hideaway: a relaxed restaurant and refined tavern serving comfort food classics & craft cocktails inspired by Ernest Hemingway in rustic-chic surrounds. Reasonably priced entrees like the 32oz. Bone Ribeye, Double Cut Pork Rib Chop and Short Rib were inspired by Chef Larry Carlile's time in his mom's kitchen. However, his own Korean Fried Chicken has already established itself as a Hemingway's Bar & Hideaway classic. Saturday & Sunday brunch starts 10:30AM - 2:30PM! Don't miss out on the Ribeye French Dip sandwich, Brown Butter Pancakes, Hot Chicken & Mac! Wash it all down with Bottomless Mimosas. Come join us for food and libations! Give your mom what she really wants this Mother's Day... booze. Let her cup runneth over with Bottomless Mimosa! The food and service was great. We loved the ambiance of this place. great cocktails, great service and great food. Will be back! We LOVED it here! The food was amazing, and the bottomless mimosas are definitely worth it. They really are bottomless ;) Also loved that they gave us our receipts in Hemingway books, definitely added to the aesthetic of the place! We can't wait to go again! This restaurant is in a converted warehouse so there is no natural or constructed sound absorption. 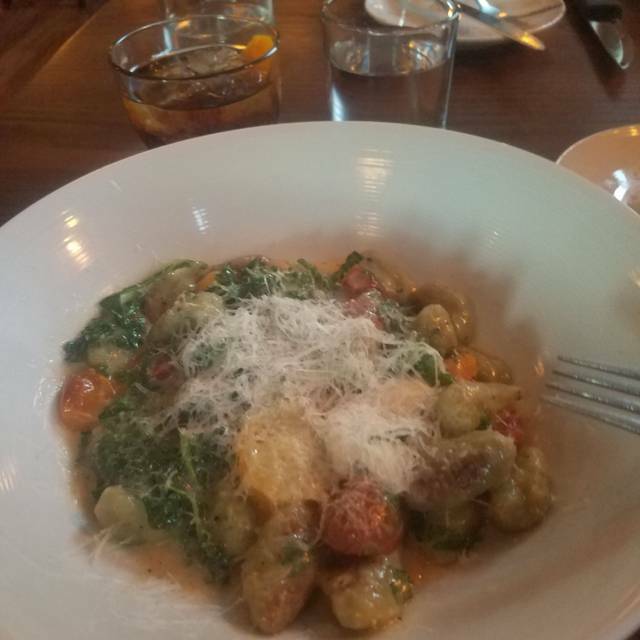 The food is excellent, and the service is normally very good, so we do enjoy coming here, but the large parties that are always seated in the center of the restaurant make so much noise that we have to shout at each other across a two top, or just not talk much. Last night was so bad, we considered asking for our meal to go. Please do something about relocating large parties and maybe creating some sound absorption in the ceiling. Not asking for complete silence, but do something so that all parties can enjoy the ambiance. They seem to cater to larger parties. If you are a party of 2, you will most likely be seated at a tiny little uncomfortable one in the middle of the room where you can barely fit all your meal dishes and drink glasses. I had requested a larger table or a booth that seats at least 4 people b/c my husband and I are both over 6 feet tall and that is more comfortable for us. When we asked for a table like we requested, they said they couldn't b/c they had other reservations coming in, but we noticed that most of those tables stayed vacant the entire time we were there. The food was good, but menu is very limited. Hash was excellent. Also make a great Sazerac. The bar/spot is a great location. The set up is very well done and the wine list was my favorite part. 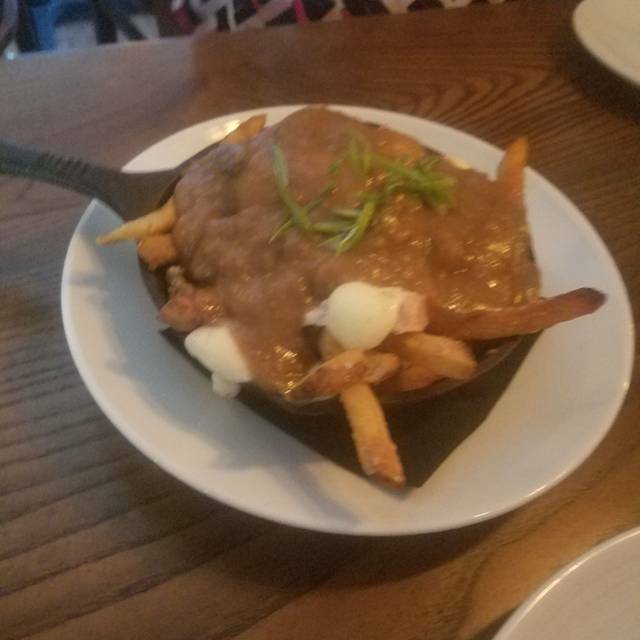 The poutine was good but the lamb was super disappointing. It was cooked medium well (even though the request was for medium rare) and the rice it was served with was pretty bland. I would recommend this spot for a drink- but I would skip the food and walk over to Bastion or something. Love this spot. Food is amazing, service is great, very unassuming location that keeps the crowds away. Favorite brunch spot in Nashville. Upon arrival the restaurant was most empty and we did not like the placement of our table and asked to be moved to a different table, but they refused to accommodate, even though there were other 2 person tables in better placement. We asked the hostess and then even the waiter, but we were continually refused. While the food was delicious, because of this slack in customer service, it’s not likely we will return. Also, the restaurant never completely filled up our entire meal. The best thing about this place is the venue! Its great! Food was good. Server was subpar. Smallish menu but everything we ordered was wonderful! The short rib just fell apart tender with a fabulous flavor. The lobster beignets were great! Nice selection of craft cocktails! Great service! Excellent food and service. Noise level was higher than average and it made conversation challenging. 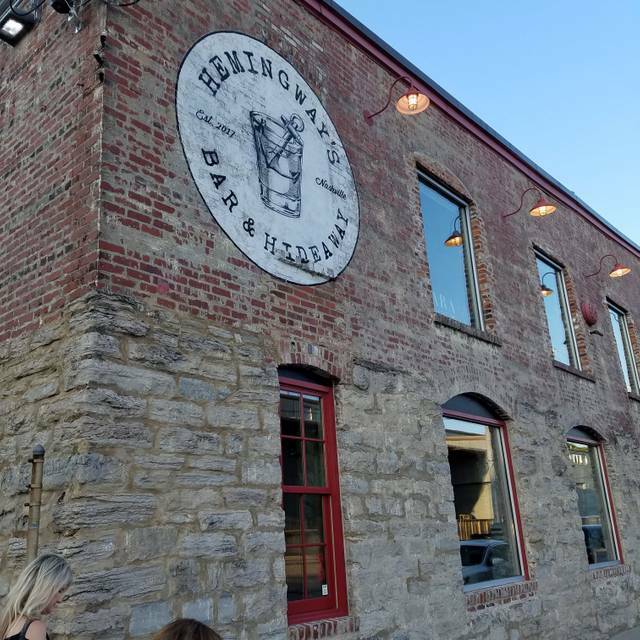 This was my third visit with friends to Hemingway's and I believe I enjoyed it even more this time. We were there for brunch, though two of us ordered the burger from the bar menu and it was delicious. Our waitress was outstanding and very personable in just the right fashion. We especially enjoyed the "build your own bloody mary bar". I will definitely continue to take out of town guests here. Great find! 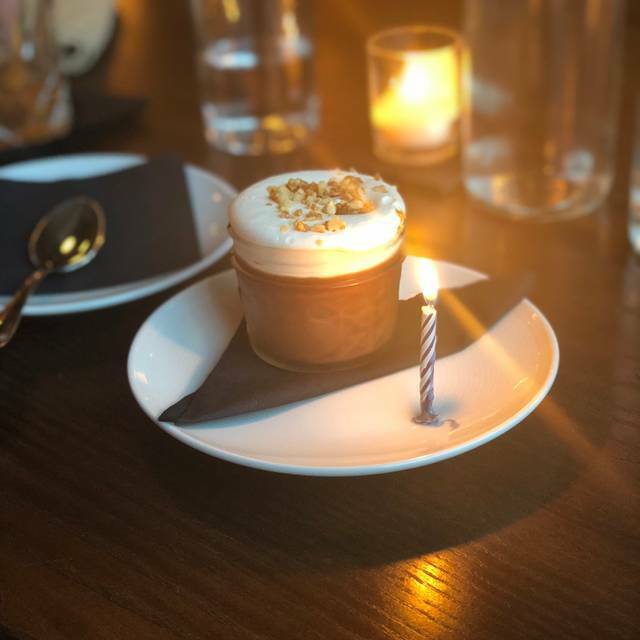 This was my third visit for dinner- all birthday celebration dinners! Everything thing about Hemingway's makes it a wonderful place for any occasion! Normally I would have given the food a higher score, but this time I had a salad that was $11 and was mostly just leaves with a few bits of beet on top. Not very interesting and definitely not worth the money. The soup was good though! The other times we've been here it was wonderful. Maybe brunch is not their thing. I had the KFC sandwich - the bread to chicken ratio is way off. However, the chicken was flavorful. What was problematic was the service. No one in our party was drinking alcohol. We had to continually ask for drink refills when it was obvious our drinks were dry. I was glad they had water available. We will return for dinner and give it another try, but we won't return for brunch. Hemingway's has a fabulous drink menu! The ambiance is incredible in a renovated industrial warehouse space with brick walls and a nod to the author himself. The menu rocks and has changed a few times over the past several visits. It is varied and creative and everything we've tasted here is delicious from the chicken and waffles to the eggs Benedict to the perfect omelettes (ok we've only had brunch here). We constantly bring visiting guests here and they are all impressed. The location is up-and-coming and will quickly become the new "IT" space. Bravo! SO good. Came here the week prior just for cocktails and loved it. And the food smelled so good we decided to come back a week later for dinner and were so glad we did. I had some of the best fried chicken of my life and I'm already dreaming about coming back for more. Hemingway's has an awesome vibe, great cocktails, lively scene and friendly service. This might be my new favorite place in Nashville. 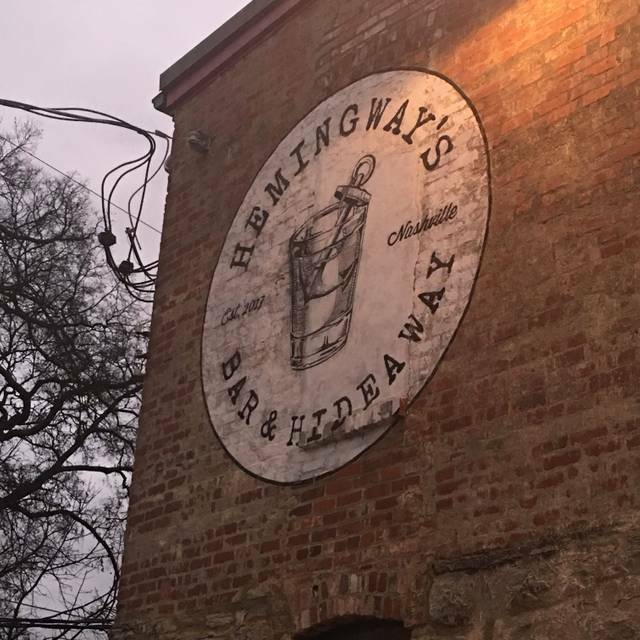 I would recommend Hemingway's for a drink with friends. The food was not good and over priced. Nice place, but not for the money!!!!!!!!!!!!!!!!! For the prices Hemingway's charges, I found it to greatly under deliver. The drinks are NYC prices in a "yet to come" neighborhood. The brussels appetizer (was delicious) arrived first, before the expensive cocktails. Potatoes served with the short rib were cold. The fish came with under cooked rice on cold tomato sauce and had to be sent back. Overall, it just felt like Hemingway's was trying to be something that it's not. For two people on a night out, I'll spend $100 somewhere else. 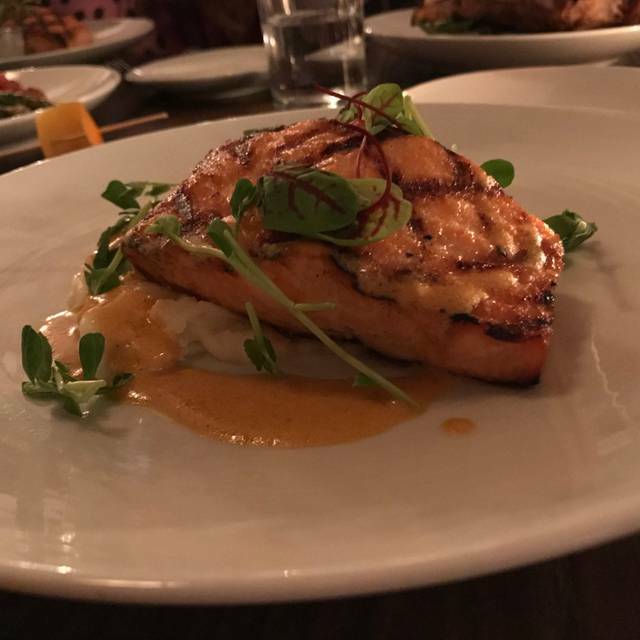 Great food, nice service, interesting venue... Friends recommended it and we tried it. Would go back again. Wish we had their twin in Phoenix. Second time at the establishment. First time was very good. Has slipped since then. Braised short rib was well,,,not braised. Tough instead of falling apart. Service was excellent. Food was good, relatively limited menu. Brussel sprouts and oysters appetizer were great. Red Snapper special also delicious. Shared 2 different desserts that were decadent. The place is awesome. Amazing food , darker relaxing atmosphere. One of the best old fashioned I’ve had in town. Overall good experience. Will go back. Loved the decor. 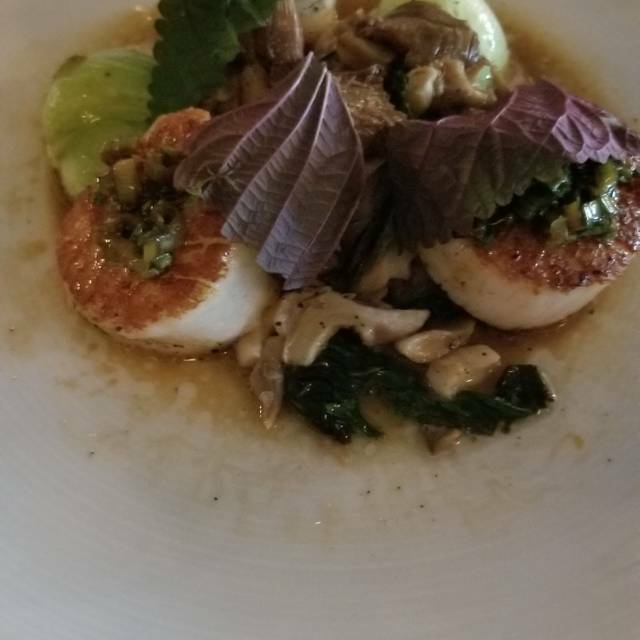 Scallops were excellent. Could use a better dessert selection. The food service and atmosphere were wonderful. We love Hemingway’s but I was disappointed that we weren’t told that it was going to be a pre-fix menu in advance For Valentine’s Day. Also the same with the restaurant adding an automatic 20% gratuity. The service was good but I don’t think it’s appropriate to not be informed of that up front. Valentines day dinner. 270.00. . . Took 5-10 minutes for drinks to make it to our table each time, which were 16.00 a piece. Keep in mind it wasnt crowded. Appetizers were good but extremely light. 2nd course was better. 3rd course dinner I had a NY steak that was overcooked, my dates scallops were good, but nothing extraordinary. 4th course, Desert was the biggest let down. Basically cake in a shot glass with a couple of raspberries. Overall i was very disappointed, if it wasnt for the great conversation with my date I would say this was one of the worst v-day dinners I've had. Very nice atmosphere and staff. Valentine's day meal had limited menu and dessert was not very good, but overall a nice experience. Love this hidden treasures! My first drink was served in a dirty glass but that was the only complaint Parking is awful!! We were 45 minutes late because we were stuck behind a wreck & they were very accommodating & sat as soon as we arrived. Our waiter was very nice & did a great job. We were in a hurry because we were going to a concert. We just ordered drinks & appetizers. The cocktails were delicious. 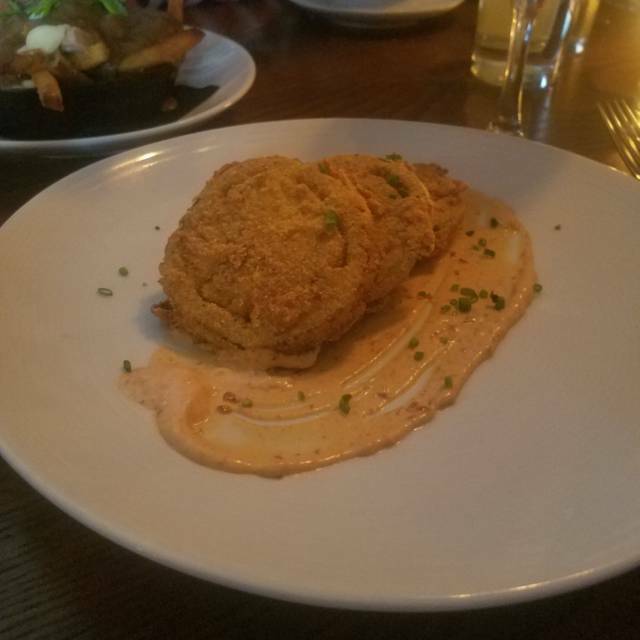 The fried oysters were delicious. The beet salad was good, but the watercress was extremely bitter. The mushrooms & soba noodles were very tasty. I will definitely go back. Hemingway’s has become one of my favorites over the past year. On this particular night I had guests in from out of town who had not been to Nashville before. On Friday night we stopped at Hemingway‘s, initially for drinks and apps. 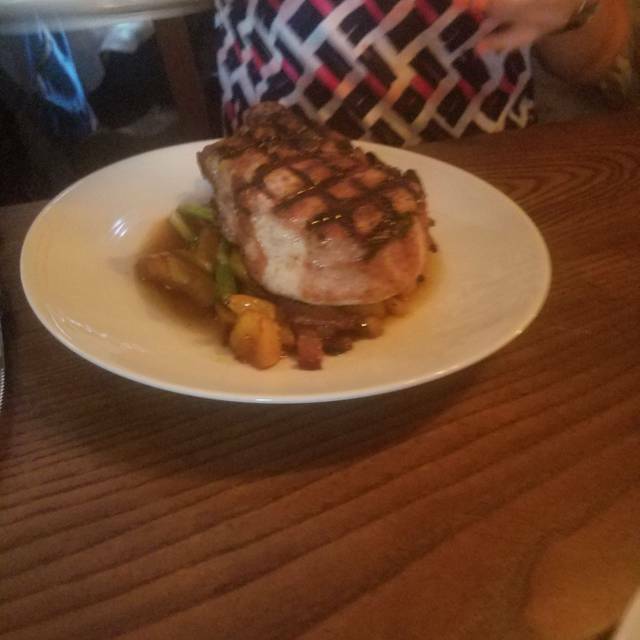 When we saw some of the dinner plates passing by and heard the specials we switched gears and ordered the amazing ribeye which was shared by the four of us as well as the trout Dinner special and a plate of brussels sprouts. The four of us were able to share this plus between the four of us were able to sample a large number of their signature cocktails. As always the Steve McQueen was a front runner but they have some great gin drinks as well. Highly recommend this.